As we all become more educated on how our waterways and aquifers are threatened, exploited and contaminated, the movement grows to defend and protect the future of our pure and sacred waters. 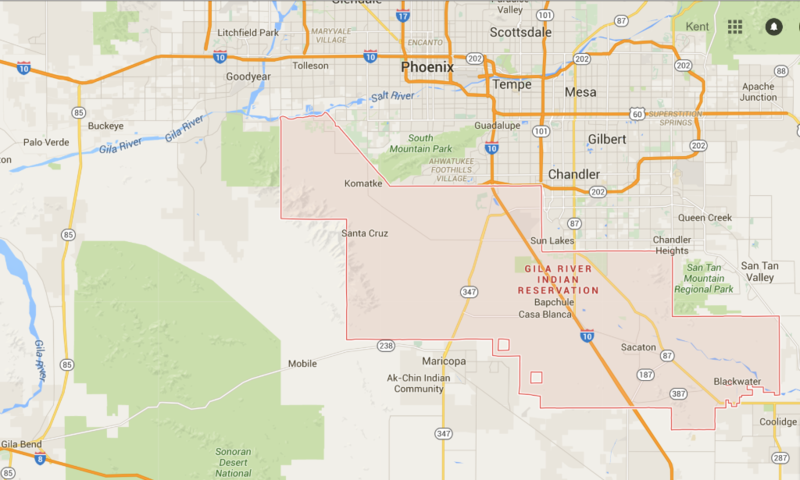 Saturday and Sunday Events are hosted on the Gila River Indian Community, D7 Center, at 8035 S. 83rd Avenue in Laveen. Saturday, March 12th: 10-6pm presentations and keynote, with an open mic in the evening. Lunch and dinner will be served. Sunday, March 13th: 10-2PM Discussion and strategizing for next steps. Lunch will be served. let us know when you plan to arrive. Hotels and motels are in the area (McDowell and 91st Avenue). 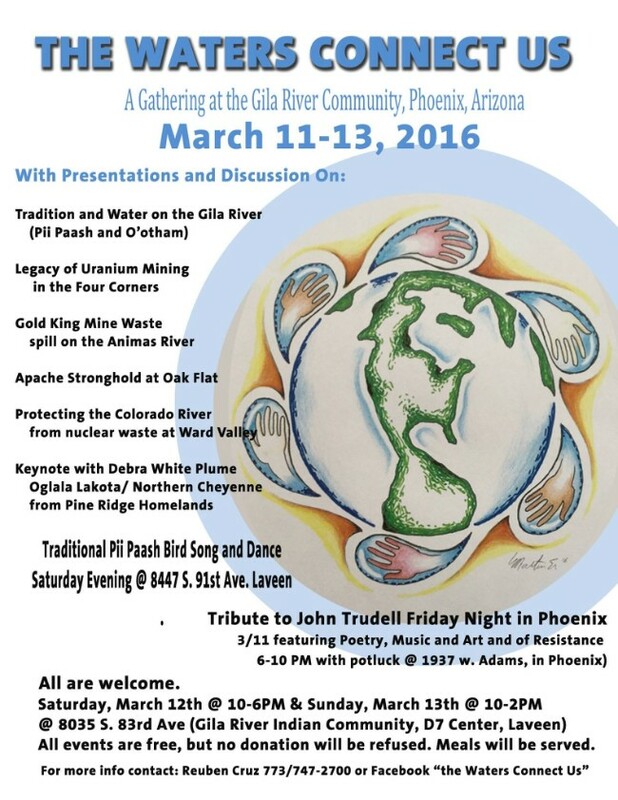 All are invited March 11-13th as we gather to discuss important water protection work across the lands of the Southwest and Nation. We invite everyone to come with open hearts and minds, as we hear from those working on the frontlines of protecting life's most precious resource, our waters. -Keynote with Debra White Plume Oglala Lakota/ Northern Cheyenne from the Pine Ridge Homelands, will present stories from the frontlines of Lakota territory, including threats to sacred water from new and expanding uranium mines near the Pine Ridge Reservation and the Black Hills, and the transportation of Tar Sands oils through the Keystone XL pipeline. All of our precious, finite water sources are connected, from flowing surface streams across Mother Earth to the underground Aquifers below us, to the raindrops falling from the clouds above, all of water is connected. 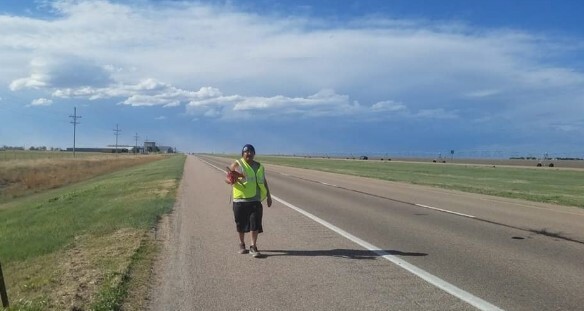 Water protectors and land defenders can gather during this time to honor water and ancestral lands, and strategize to strengthen and build solidarity to increase the effectiveness of the many movements to protect lands and waters. The event is being hosted by Pii Paash Uumish, Owe Aku and Peoples Media Project, with the support of many other individuals and organizations from the communities represented. 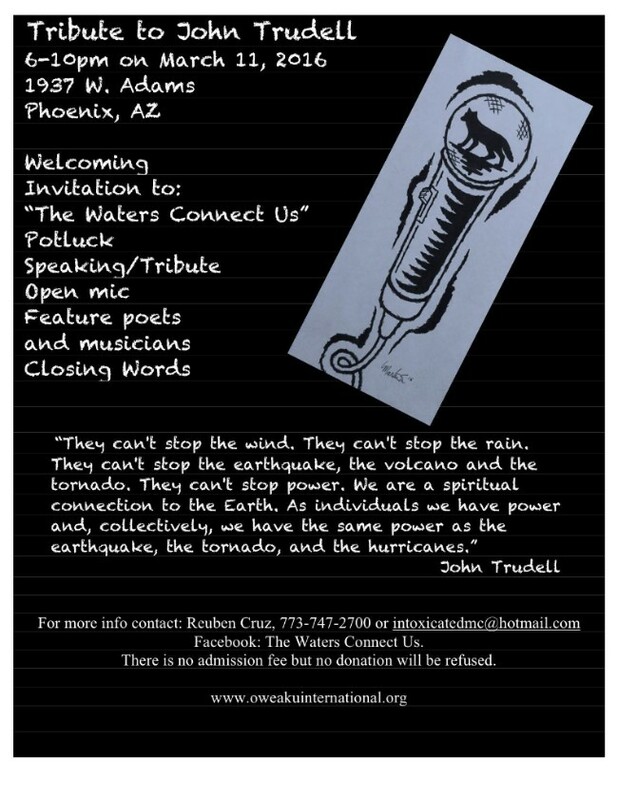 Facebook Event "The Waters Connect Us"
Special thanks to all who are helping organize, fundraise and those traveling near and far to share their stories.